Doctor Who: The Moffat Scripts - THE PANDORICA OPENS / THE BIG BANG | Warped Factor - Words in the Key of Geek. Dr. Moo reboots the universe. Steven Moffat’s Doctor Who had been generally a success, barring a Dalek-related mishap (I still love you Strategist Dalek! ), so in his first ever season finale he had to deliver. He gave himself an awful lot to cover, explaining what the Pandorica was, how the cracks came about, how they’re related to the TARDIS and the return of both River and Rory, the latter despite being dead (we weren’t used to his constant resurrections yet remember). So could series five maintain its consistent high quality long enough to stick the landing? Yes, it turns out, yes it could. The season finale is a resounding success in all respects. One that ties up Matt Smith’s first year as the 11th Doctor in spectacular style. Oh yes, that speech. Right up there with Peter Capaldi’s “Sit down and talk”, Tom Baker’s “Indomitable” and Colin Baker’s “10000 years of absolute power”. Matt Smith’s delivery is pitch-perfect (as ever) and he makes it work just the way it should. Hello, Stonehenge! Who takes the Pandorica, takes the universe. But bad news, everyone... 'Cos guess who?! Ha! Listen, you lot, you're all whizzing about, it's really very distracting. Could you all just stay still a minute? Because I am talking! 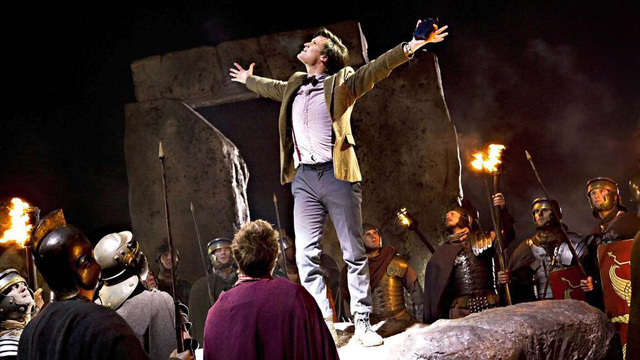 The question of the hour is, who's got the Pandorica? Answer... I do. Next question, who's coming to take it from me? Come on! Look at me, no plan, no back up, no weapons worth a damn. Oh, and something else, I don't have, anything... to... lose! 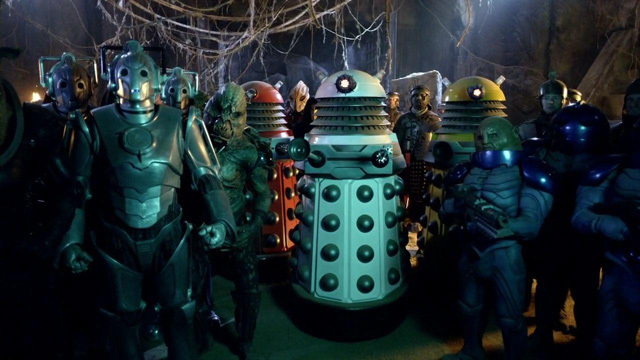 So if you're sitting up there in your silly little spaceship, with all your silly little guns, and you've got any plans on taking the Pandorica tonight, just remember who's standing in your way. Remember every black day I ever stopped you. And then, AND THEN, do the smart thing. Let somebody else try first. That'll keep 'em squabbling for half an hour! That’s right, Rory’s back to life! This should really be our first clue that something’s not right because last time we saw him he literally ceased to exist, so how can he be here? And more importantly why the heck is a he a Roman Centurion?! Both questions are answered when it turns out to be an elaborate plan to trap the Doctor based upon the life of his companion Amy, but who cares because RORY’S BACK!!!!!!! This is the story when Arthur Darvill finally manages to elevate Rory above the doormat he’s been up to this point, showing us a proper character rather than someone for Amy to dominate… not that he isn’t still that anyway. This is when we get to see the true extent of Rory’s love and devotion to the woman he loves, waiting for her for nearly 2000 years, protecting her until the younger version of Amy (played by the magnificent Caitlyn Blackwood) is able to rescue her. 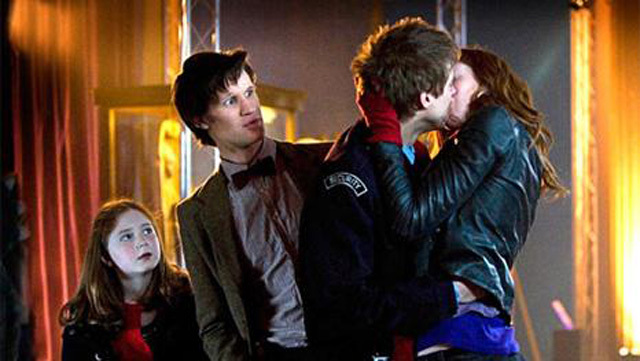 Steven Moffat creates a love story for the ages here in Amy & Rory. But while it’s Moffat’s words on the script it’s Darvill who can fill them with the right emphasis and emotion to tug at our heartstrings. He truly is an underrated actor and in the persona of The Last Centurion he gives us a showcase of his full range. Look at the first scenes in episode two, holding his (temporarily) dead fiancee in his arms. His facial expressions are exactly what they need to be and when he begs her “You’d have laughed at that. Please laugh!” his delivery is so that you have to catch yourself or you’ll find a tear in your eye. Show me another actor who can do that as well as Darvill does here. There are two defining aspects of the story, and while one is the romance between Karen Gillan’s Girl Who Waited and Arthur Darvill’s Last Centurion, the other is Moffat’s signature “Timey-Wimey” and this is arguably the less successful of the two. For example the Doctor’s means to escape from the Pandorica by freeing himself using time-travel, using the Sonic Screwdriver in a classic Bootstrap Paradox is something I can’t understand why he’s never done before. In fact, if he can do this now then why’s he ever had to regenerate? What was to stop the 1st Doctor defeating the Cybermen by travelling to the past and stopping them so that his younger self could escape and not die? (Yes I know that’s not exactly how he died, but I’m sure you get my point.) Is it because Time Lords aren’t allowed to cross their own timelines? It can’t be that because when have rules ever stopped the Doctor before? It’s just a chance for Moffat to show off. It’s certainly a genius move on his part to write a solution like that, but if you want to be needlessly picky then you might want to say that it’s a bit too close to cheating. 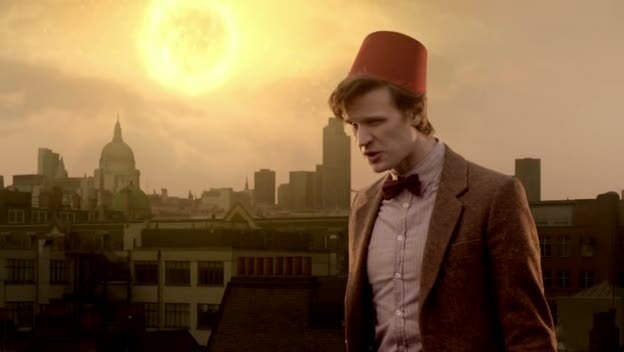 Then there’s the way the Doctor prevents the destruction of the universe by flying the Pandorica into the exploding TARDIS because it’s got some particles of the universe as it was before – Certainly a clever solution and the way it’s foreshadowed by restoring a Dalek is a nice touch but this too, if you’re being needlessly picky again, is possibly something you could call cheating. If that’s you then I say to you today that it’s not cheating, no, it’s using a clever logical solution hidden in plain sight to figure out a way to solve the problem. It’s nothing that we haven’t seen the Doctor do before, albeit this is on a larger scale. When the Fourth Doctor refused to prevent the Genesis of the Daleks by touching wires together and then a passing Dalek does the job by accident, I suppose that was cheating too? There’s nothing wrong with valid criticism, in fact it should be welcomed, but if you want to attack his writing without having any legitimate issues then that’s unacceptable. All these things you hate on him for in this story are not issues because within the context of the story there’s nothing wrong with what the Doctor does and no way you could seriously believe Moffat was cheating. I could go on but I won’t; I think I’ve made my point. I just wanted to get that off my chest. All in all, what we have with The Pandorica Opens/The Big Bang is an engaging story that is filled to bursting with great moments, something for everyone and an awful lot to like. It’s an extremely good job that Steven Moffat has done here creating two episodes that can be watched and rewatched and thoroughly enjoyed time and time again. By its end we still don’t know who or what destroyed the TARDIS and we don’t know why but that’s okay because these answers will come at the right time later on in the long-term progression of the series that Moffat had planned out. Watching it today when we know these things enhances the story – and as it’s already pretty good to begin with that can only be a good thing!